Navy Academy Ronud Neck T- Shirt JP08 White Regular Fit Angry Face Extra Value On Your Fashions Absolutely Perfect Casual Machine Wash/Dry wash. Surrender To Style By Wearing These Amazingly Comfortable T- Shirts. Discover A New You With These Absolutely Perfect Casual Wear. 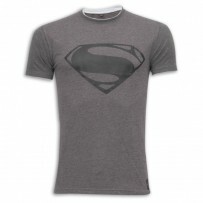 This Stylish T- Shirt Will Add Extra Value On Your Fashions. Type- Round T-shirt Fit-Regular Fit Style/Design-Angry Face. Fabric Care- Machine Wash/Dry wash.